Parties to a contract have considerable choice over the way a dispute between them will be conducted. By using an arbitration clause or agreement, the parties can choose which country and city they wish to hold arbitration. Yet, it is important for counsel to distinguish between the legal place of arbitration (the “seat”) and where the hearings and other procedural steps physically take place (the “venue”). Although the two are often the same, it is the seat that determines part of the legal framework within which the arbitration will take place. The venue where the parties or the tribunal choose to meet is often only a matter of convenience. It is also important to distinguish the seat from the governing law of the contract. Regardless of where the arbitration takes place, the arbitrators will apply the designated governing law when deciding substantive matters of a dispute, including the agreement to arbitrate. Such substantive matters may include the validity of the arbitration clause or agreement, or whether a particular dispute falls within the terms of an arbitration clause or contract. The law of the seat likely will determine the procedural law of the arbitration. If an agreement is governed by New York law, the arbitrators will apply New York law to substantive issues; but if the arbitration is seated in Paris, French law will apply to the conduct of the arbitration. The procedural law covers questions relating to the arbitration itself (e.g. has a valid arbitration even arisen? Must each party to the arbitration consent to the arbitration?). These questions can relate to the arbitration tribunal's authority, powers, and duties – even its appointment. The procedural law governs any remedies the parties may have for potential breaches by the tribunal of its duties or the bounds of its powers. Additionally, the procedural law determines the availability of interim remedies. The form and validity of the award and grounds for challenges to the award at the place of arbitration will also be determined by the procedural law. The law of the seat also may stipulate that a particular type of dispute cannot be settled by arbitration (e.g. often criminal, matrimonial, and regulatory disputes cannot be resolved by arbitration). Moreover, the powers of the court to hear disputes relating to arbitration are determined by the procedural law of the seat. The law of the seat determines the extent to which the local courts will support the arbitration proceedings—for example, the extent to which local courts may provide interim relief, such as injunctions (e.g. court orders for the preservation or storage of goods). The degree to which an award – including any interim relief – may be challenged, is determined by the seat of the arbitration. The law of the seat also determines whether and to what extent the court may assist an arbitration that has run into difficulties (e.g. filling a vacancy in the composition of the arbitral tribunal if there is no other mechanism) or exercise its supervisory jurisdiction over arbitrations (e.g. removing an arbitrator for misconduct). If the parties do not choose or expressly identify the seat, the arbitration tribunal will look towards the intention of the parties, or try to determine with which law the agreement had its closest and most real connection. Often, but not necessarily, the seat ends up being related to the agreement’s governing law. However, the arbitration tribunal can choose another jurisdiction depending on other factors, such as the location of the chosen tribunal or the assets covered by the agreement. Firstly, before choosing a particular seat, parties should consider how the seat affects where the award is made or published. Parties should aim to have the award treated as an award of a signatory State to the New York Convention. The New York Convention is a multilateral treaty for the enforcement of arbitral awards to which more than 150 states are parties. See, http://www.newyorkconvention.org/countries. The seat should be a party to the convention, so its awards can be enforced in other signatory states. Secondly, the seat should be in a jurisdiction that has a well-developed body of arbitration law. Parties should verify that local courts have experience with arbitration issues, and have a tradition of supporting and respecting international arbitration agreements and awards. It is important to seek local counsel at the outset (when drafting the dispute resolution clause or arbitration contract) to understand the prospects of enforcing an award in a particular jurisdiction. Thirdly, if possible, Parties should strive to select an arbitration-friendly jurisdiction for the seat. The procedural laws applicable in “arbitration-friendly” locations (such as London, New York, Paris, Hong Kong, and Singapore) have few mandatory provisions and allow the parties considerable freedom to agree upon any number of matters. Parties wishing to have the freedom in choosing the lawyers representing them, the specific procedures to be followed, or even the language of the arbitration should make sure that the law of the seat does not have any burdensome restrictions. In arbitration-friendly countries, the role of the courts is kept to a minimum. The court’s role is limited to supporting the arbitration process and assisting, if necessary, with the enforcement of the award. In less arbitration-friendly locations, the courts have greater powers to assume control over disputes within their jurisdiction. The courts in such countries tend to be more interventionist. There also could be constraints upon the conduct of the arbitration, such as requirements to use locally qualified lawyers or conditions on the eligibility of arbitrators. Parties should be wary of any seat with laws or regulations that can allow the courts to intervene in the process agreed to by the parties, other than enforcement of an award or the provision of interim relief. Fourthly, it is important to consider issues in the context of the contractual relationship itself. What types of dispute may arise? What and where are the assets against which a party might wish to enforce an award? And, what measures may a party take to protect its assets from an award? Finally, parties should consider non-legal factors such as convenience; industry-specific usage; prior use by the Parties; established relationships with local counsel; language; and cultural familiarity. Parties drafting an arbitration clause or agreement must understand that procedural rules of the seat cannot be overcome by agreement of the parties or by rulings of the arbitrators. Courts in the country or city of the seat have the ability to review and potentially to vacate or set aside awards, and awards set aside by courts at the seat may not be enforceable elsewhere. Therefore, before drafting an arbitration clause or agreement, counsel should carefully review the arbitration law of – and the history of – court interference with arbitrations in the proposed seat, to ensure that the law of the seat will not hinder arbitration of disputes that may arise under the contract. It is also important that the arbitration clause or agreement be consistent with the arbitration law of the seat. Parties should remember that there is a distinction between seat and venue. For reasons of convenience, parties may agree that the hearings be held in a place other than the seat of the arbitration, but the change of venue does not change the legal seat of the arbitration. The parties should expressly state where the seat of the arbitration will be to mitigate the risk that the law selected by the parties will not apply to a dispute. Eric N. Fidel is an associate in the Fox Horan & Camerini corporate department. He joined the firm following his graduation in 2014 from the University of Michigan School of Law, where he served on the editorial board of the Michigan Journal of International Law. 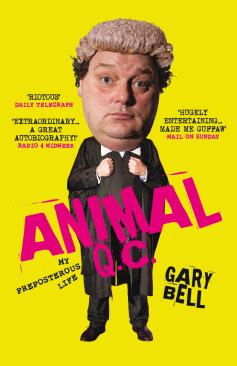 Appointment to Queen's Counsel is without doubt the pinnacle hallmark of legal competency. 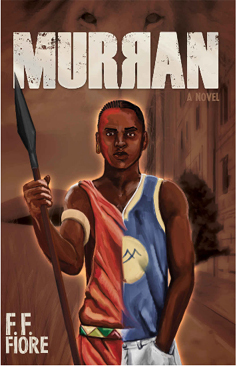 Murran, set in the 1980s, is the story of fifteen year-old Trey Davis. 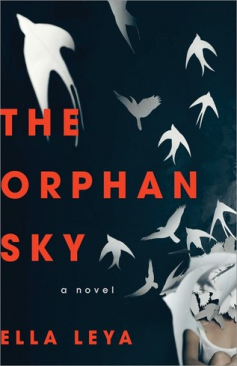 The Orphan Sky adroitly marries Cold War history with intrigue and young love.